Talk to people and you will find yourself in a twisted conversation of which rubber works best for one may not be so for the other. Then there's the 'thing' about size where the big boys will brag over their 20 inches worth of 285s that have extended so much that it barely clears their fenders. While it is true that in this case size does matter. However, the fact remains that with better grip often comes poorer fuel economy and at times slower acceleration. 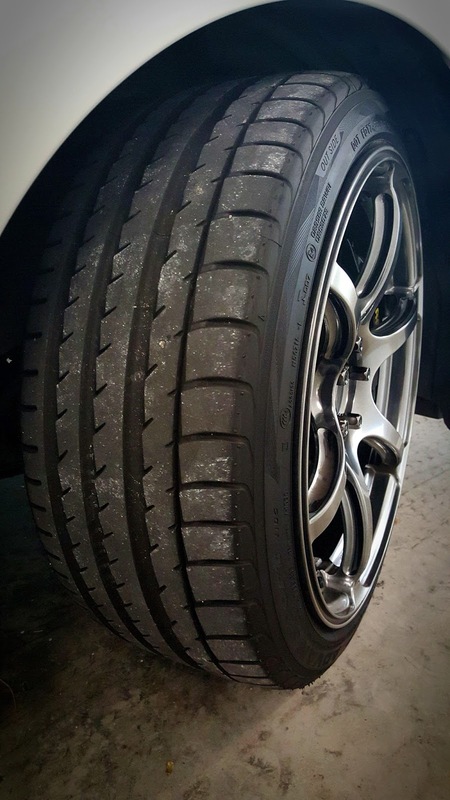 With such fundamentals, reviewing different tyres back to back becomes inaccurate unless you have the same test car, tyre sizes and same conditions. 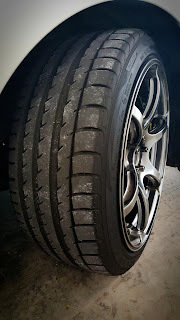 Sometime ago, I was running on a square profile set of 225/45R17 with Michelin Pilot Sport 3. A decent set of slicks for the money there Michelins were but it was nothing extraordinary to brag about. Apart from it being relatively noisy, they were the slicks for the average Joe. As usual, I opted for staggered profiles as I never liked squares on rear wheel drive. With 225/40R18 for the fronts and 255/35R18 for the rears, it was much of a looker to begin with. Today, I am almost 5000 kilometers into my Advan Sport v105 and at the best of my ability, I will give you a flavour of the v105 on our daily roads. Onset of my first drive all I could remember was the v105 being in a league of its own compared to the Pilot Sport. 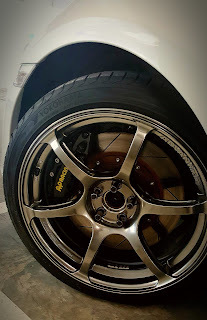 With the stiffer side walls and far superior compound, the Yokohama basically murdered my old Michelins. The ride became much firmer and less comfortable. Thanks to the stiff side walls, you could literally feel every grain of sand, typical for performance tyres. Put it this way, for the buck, the Pilot Sport 3s were not bad slicks but it felt mediocre to the v105. The steering turn-ins were much more precise with much tarmac bite. Going around corners, the car steers magnificently sharper and direction change had never been more precise. Perhaps this better tarmac adhesion and steering response was the result of the more superior rubber compound technology. I could swear that I could relate the experience to the Continental Sport Contact 5P used on my Lexus GS. By nature, the GT86 promises a fun drive but with the Advans, my Hachi-Roku just got more exciting with much more grip. Thanks to the huge strips of water evacuation ribs, hydroplaning was minimal with very little steering pull over puddles and overall grip was good even in the pouring rain. If you look closely at the thread pattern, you will notice the progressive increase in the thickness of the water evacuation ribs. It looks as though the tyres were designed to channel water from one side of the tyre to the other. Whatever the engineering science behind the design, it works and deceleration on wet tarmac is very controlled without the intervention of ABS or traction control in regular scenarios. 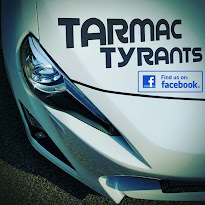 While the GT86 is no silent car, I can only conclude that the v105 is acceptable in terms of road noise. The Yokohama was significantly quieter than my previous Michelins with the road roar levels at the higher frequencies being significantly lower, making daily driving more comfortable. Made in Japan, the v105 does not come cheap and waiting time for certain profiles can be frustrating from distributor if ready stock is not available. This may have you challenged to put your money on Continentals or other equivalents instead. A true performance tyre with satisfactory levels of comfort. Till today, my ears did not bleed.